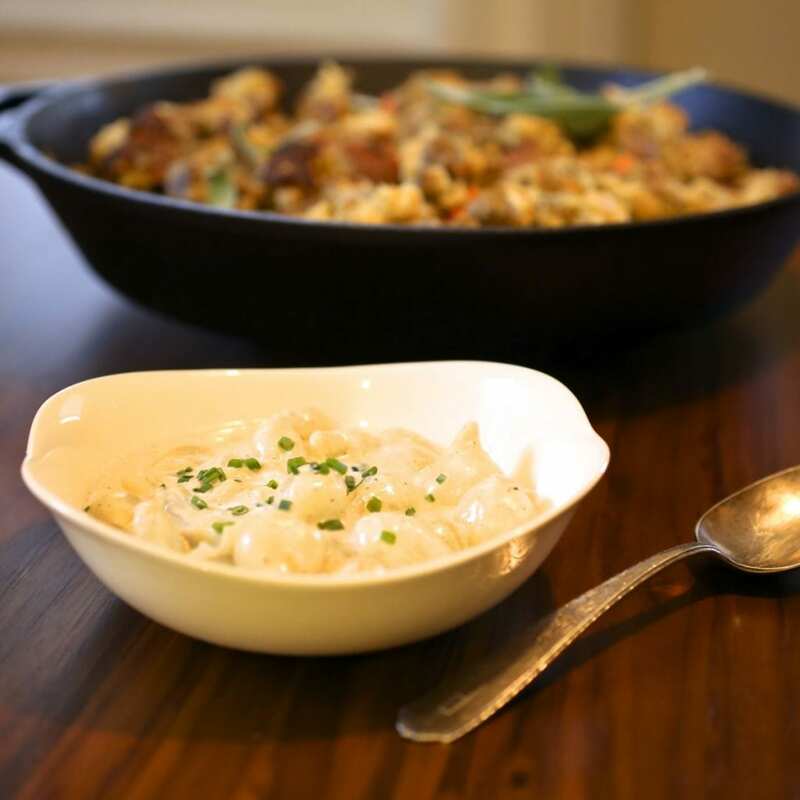 Creamed pearl onions is one of those holiday dishes that seems so unnecessary… until one year you don’t make it and everyone gets mad and you realize it’s a tradition for a reason, damn it. There’s something about that soft (but not too soft) texture and that simple, pale sauce that just works. It’s a little smoky from the bacon. A little boozy from the sherry. Pure holiday delight. In a large pot of salted boiling water, blanch the pearl onions for about 3 minutes. Remove from the water, shock in a bowl of ice water, and drain. Peel onions, leaving a little of the root end intact. ***Note: You can do this step up to 2 days ahead. In a medium saucepan, cook the bacon until crisp. Remove the bacon, and drain on a paper towel. Leave 2 tablespoons of the bacon fat in the pan, and add the pearl onions, heavy cream, and nutmeg. Cover the pan with the lid, leaving a one inch crack so the steam can get out) and cook the pearl onions on medium heat until the cream has reduced by half and the onions are cooked through (about 10 minutes). Stir in the sherry and cook for 2 minutes more. Season to taste with kosher salt. Garnish with the bacon and chives. Can be made a day ahead. Reheat very slowly in a saucepan until hot. Don't let it come to a full boil or the cream could separate.